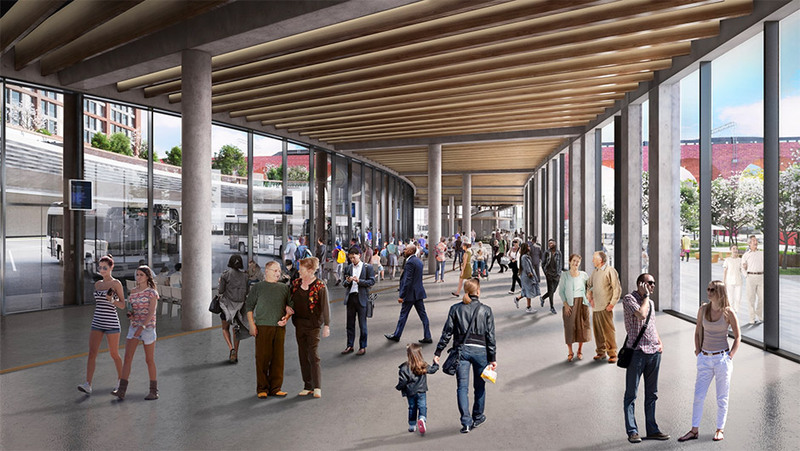 We’re working with Stockport Council and the Greater Manchester Combined Authority (GMCA) on a multi-million pound transformation of Stockport’s bus station into a modern transport interchange. 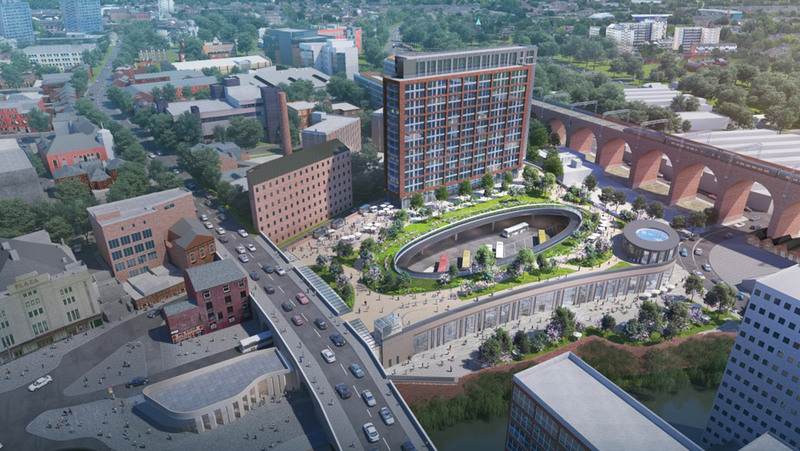 The new transport interchange is part of an exciting £1 billion investment that’s under way to make Stockport an even better place in which to live, work, play and connect. • Around 200 new high-quality residential apartments off Daw Bank. 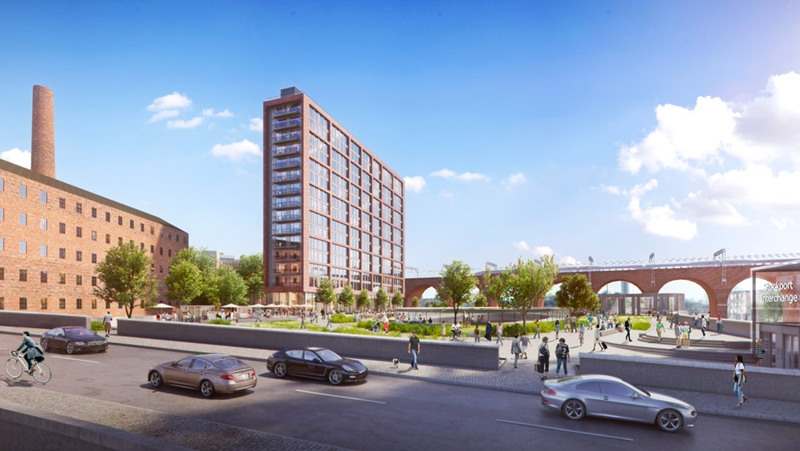 In March 2019 Stockport Council approved planning permission for the development. In July 2018, a four-week public engagement exercise was carried out by TfGM, in partnership with Stockport Council and the Greater Manchester Combined Authority, to find out what people thought of the proposals for the new Stockport Interchange. Hundreds of people got in touch to give us their views. We’ve produced an engagement exercise report, which gives a summary of how we ran the exercise, an analysis of the responses received and details of next steps. A formal planning application has now been submitted to Stockport Council. Working with bus operators, we’ll maintain all bus services during construction and will work to ensure any disruption to services, passengers and local residents and businesses is kept to an absolute minimum. 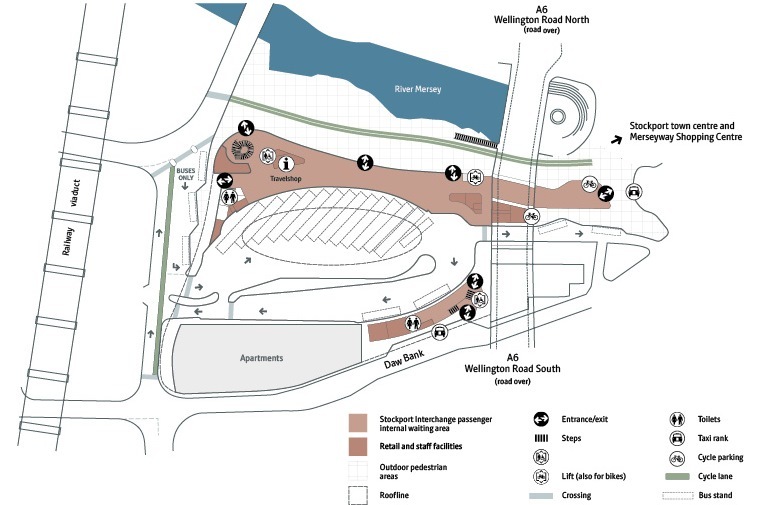 Most bus services will be relocated to a temporary bus station at Heaton Lane car park. Some bus services will run from Mersey Square and others, including coaches, will run from temporary stops in the town centre. While work is under way, information on changes to services and temporary bus stop locations will be available at the bus station site, in Stockport rail station and online. Where possible we want to include unique pieces of art at our new interchanges, partly funded by the National Lottery through Heritage Lottery funding. Artist Tim Ward has been commissioned to create and install a piece of artwork reinforcing Stockport’s identity. We want to make the interchange a stimulating and attractive place to spend time in and travel through. Tim has already held several sessions to get local views and ideas for his design. Lines are open from 7am to 8pm, Monday to Friday, and from 8am and 8pm on Saturday, Sunday and public holidays.